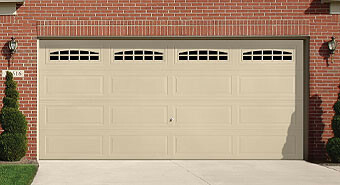 RESIDENTIAL doors are available in a wide variety of designs, colors and budget needs. 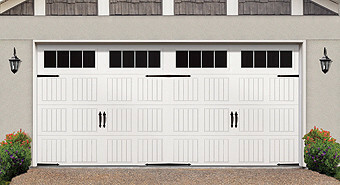 Here you will find some examples of STEEL DOORS, CARRIAGE DOORS, FIBERGLASS DOORS and WOOD DOORS. 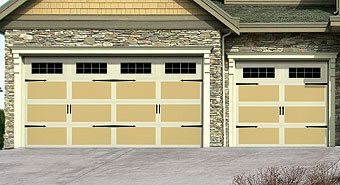 Windows or glass panels are available for virtually any door. 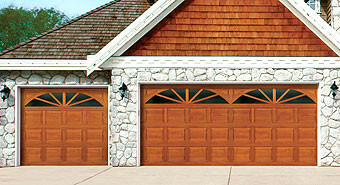 The look of the windows can be changed by the style of the snap in grid that gives it its distinctive look. 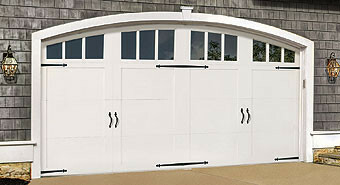 Glass panels can be installed at lower or higher levels depending on your needs or no glass at all. 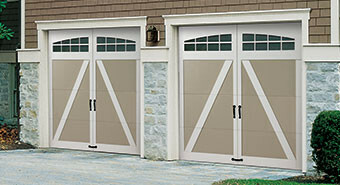 COLOR choices for your doors vary depending on the model series as do the type of raised panels or design your door may have.